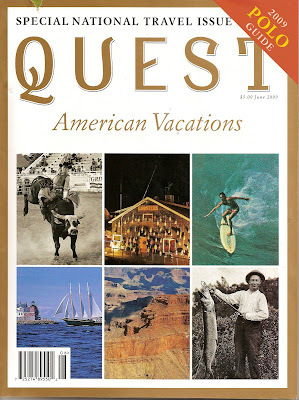 I was recently asked to write about a road trip by a friend at Quest Magazine. 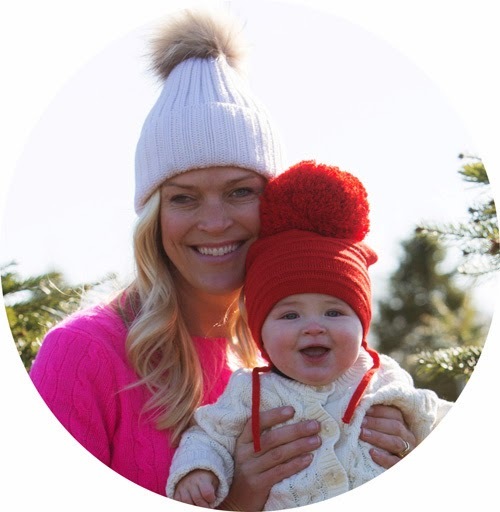 It came out in the June issue, and I thought the topic would remind us that though Summer has been downright soggy thus far, it is still WARMER than winter....so here we go..an escape from the sogginess to the cold that awaits. It was 6pm on a Friday night and I couldn’t wait till Manhattan was a glimmer in my rear view mirror. A couple thousand miles lay ahead, and only 1 point left till my drivers license would be revoked. Would I make it? I didn’t know. But I thought my chances were better off at night. 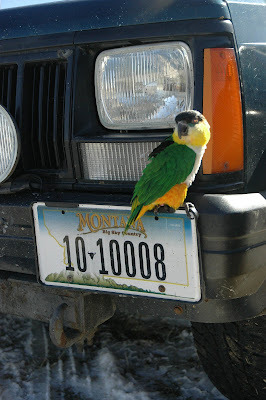 Plus, I’ve had my share of sweet talking the cops, especially with my famed parrot Tigger as my co-pilot. 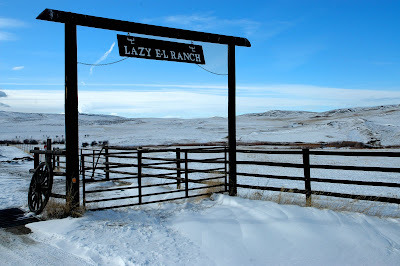 So off I went, bound for the beckoning plains of the Lazy E-L Ranch in Montana. I have done plenty of cross country road trips and I have always chosen the southern route merely chasing warmth and delectable Southern accents. If you think the largest cross in the Western Hemisphere or the biggest ball of twine in the world are worth seeing on a trip cross country, I beg to differ. That’s where EVERY tourist goes. The only thing you will be looking at is the back of a motor home as you try and sneak a view of the coming attraction. I prefer the unexpected attractions. The sneaky ones, that shock you. Talladega, Alabama was one of those for me. Imagine 10 miles of campers and motor homes lined the Interstate which paralleled the Talladega Speedway. Forget weekends in the “Country”. This set already lived in the Country. Weekends for them were an escape aboard their second home on wheels. Prime real estate has more to do with how early you get there than how much you have to spend on it. There were no hotel rooms, beer or ice for 60 miles. Talladega, I will remember you. But this trip I decided to leave the tumbleweeds and speedways in the dust in search of moose crossings. The cold route awaited me. There is such a peace of mind that comes from driving cross country. Every exit leads to a life I have never known. My ipod doesn’t stop playing. But on these journeys, I choose the radio. Country music was all I found on the local stations, and I LOVE country. I liked this route. Farmers outnumbered bankers and pickups outnumbered sedans. Diners are a good bet, and nice farm equipment is a status symbol. You just feel more American. I’m not the most patriotic person. I celebrate the fourth of July, know a bit of America’s history, but it wasn’t until I got out into the far reaching parts of this incredible country, into the towns I had never heard of, and may never pass through again that I got a real sense of American pride. Though I live in one of the largest cities in the world, I have never felt smaller then when on a road trip through our vast Country. 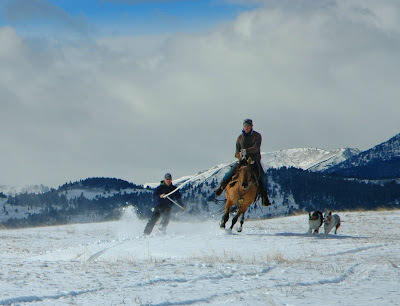 Five days, no speeding tickets, nine tanks of gas and one of ethanol later, I reached my destination: The Lazy E-L Ranch in Red Lodge, Montana. One adventure down and a few to go. 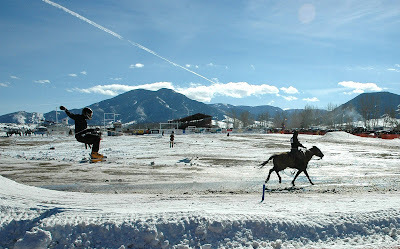 The National Ski Joring Championships now had my full attention. watching the purple shadows deepen in Arizona desert? through waist deep snow on a cold Colorado dome? Or seen the stormy waves break over the rock bound coast of Maine? Or have you ever see an eagle fly up out of the mists of Alaska? Or a big October moon hanging full over the still Dakota badlands? Or the chicken wings in Buffalo? Have you ever had Brunswick stew in Macon, or cornbread in Burmingham? Or brisket slow cooked over hill country mesquite wood? And see the lights twinkling clear over into Mexico? And watch their shodded hooves kicking up sparks on the volcanic rock? On a pristine Tenneesee late night? Have you seen the faces on Mount Rushmore or stood at the Vietnam monument? Or been to the daddy of them all in Cheyenne, Wyoming? Or seen the mighty Vols run out on the football field on a chilly autumn afternoon? Did you ever see the Chicago skyline from Lake Shore Drive at night? Or Indiana covered with new snow? Across the empty spaces in Nevada? Or, caught a walleyed pike out of a cold Wisconsin stream? Or ,marveled at the tall ship docked in the harbor at Baltimore? Or, the wind stir the wheat fields on a hot Kansas afternoon? 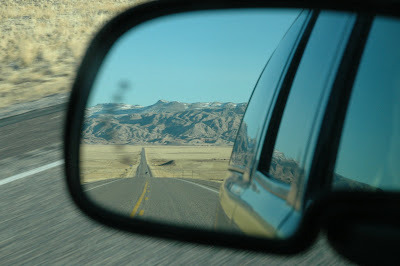 Or, driven the lonely stretches of old Route 66? On an early Sunday, in some small town in the deep south? Or pass through the redwood forest just as the sun was going down? Have you ever been to Boise or Batchlee or Beufort or Billings? Have you ever passed through Sanford or Suffolk or San Angelo? Have you ever seen the falls at Nigara? The ice palace in Saint Paul? Or the Gateway to the west? Her diverse poplulation, her monolithic majesty.